The invoice price & true dealer cost are not the same. The true dealer cost of a Kia Soul is lower. Note: The Kia Soul pricing report below does not include rebates or incentives. 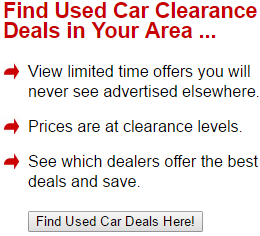 View Kia Rebates and Incentives. 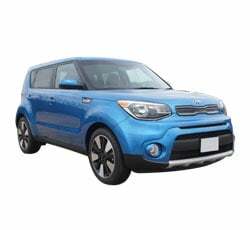 Kia Soul Prices - How Much is a Kia Soul? Since its debut in the US market, the Kia Soul has stood out amongst the crowd due to its distinct style and amenities. The 2019 Kia Soul is packed with many comfort and tech features that cater to drivers of all ages. It's a great vehicle option for anyone who wants a feature-rich ride without breaking the bank. While the compact crossover is near the end of its second generation, that hasn't stopped Kia from making some welcome changes to the 2019 Soul lineup. Features that were previously reserved to higher trim levels are now standard on the Base. This includes a 5-inch touch screen infotainment system and a Rear Camera Display. The infotainment system also comes with advanced voice-recognition software, allowing drivers to stay safe on the road. Automatic headlights are another great new addition. When it comes to exterior style, Kia is offering the signature Inferno Red color on Base builds as well. One of the most distinct features about the 2019 Kia Soul is its exterior design. The Soul has always been different than other vehicles on the road. The body is relatively streamlined and boxy. The square shape of the chassis is complemented by sweeping curves around the wheels and on the hood. The front of the crossover features Kia's iconic tiger-nose grille. It's surrounded by attractive chrome trim. Multi-Reflector headlights on the front complete the look. Kia also offers high-intensity discharge lights, LED fog lights, and LED turn signal indicators. They're available as options on higher trim levels. Comfort is the name of the game inside the new 2019 Kia Soul. There's enough room to comfortably seat five, even with the vehicle's compact classification. The front seats come standard with a six-way adjustment system. However, drivers can upgrade to a powered system with eight or ten points of adjustment. The front seats have thick bolsters to keep passengers stable around every turn. Woven cloth comes standard, though leather upholstery is available as an option. In the back, a spacious bench seat is used. It features a 60/40 split design, making it easy to configure the Soul for both passengers and cargo. When both sides of the seat are down, there are an impressive 63.1 cubic feet of cargo room. For those who want even more great feature, Kia offers many optional upgrades. To combat the weather outside, drivers can get front seats with built-in heating elements and ventilation. Higher trim levels also come with an automatic climate control system. These days, modern tech features are a must-have. Luckily, the 2019 Kia Soul does not disappoint. Every model comes with an intuitive infotainment system. The Base model comes standard with a 5-inch screen. However, upper trim levels utilize a 7-inch or 8-inch screen. Larger systems come equipped with the UVO infotainment system. The UVO software has many convenient applications to help drivers find directions, make hands-free calls, and much more. It's even compatible with Apple CarPlay and Android Auto. Once the Soul is connected to a smartphone, drivers can enjoy more features and increased functionality. Kia has made it very easy to stay in control while being safe. All models have voice-recognition software. Voice commands can be used to change radio stations, find directions, and even send texts. Alternatively, drivers can use the various control buttons located directly on the steering wheel. Higher trim levels are also available with the Supervision Meter Cluster. This 4.3-inch screen is installed in front of the driver's seat to provide important data at a glance. It can be customized to show various pages and different types of performance metrics. There are three different engines available for the 2019 Kia Soul. Each one offers varying degrees of performance. The first is a 1.6-liter inline-four engine. With the ability to pump out about 130 horsepower, this equipment is ideal for everyday driving. It's paired with either an automatic or manual transmission system, both of which have six speeds. This engine feels light and capable. It's a peppy engine that can serve drivers very well. With the manual transmission, the engine has a combined fuel rating of 27 MPG. With the automatic transmission system, it can manage a combined MPG of 28. Next up is the 2.0-liter engine. Like the previous build, this engine is an inline-four. However, it can provide drivers with up to 161 horsepower. It also has a torque rating of 150 pound-foot. This extra power boost can make quite a difference in performance. It's most noticeable on inclines and whenever extra speed is needed to pass another car. With the 2.0-liter engine, drivers get an automatic six-speed transmission system. It's responsive and offers a dynamic experience at any speed. With this particular build, the Soul has a fuel rating of 25 MPG in the city and 30 MPG out on the highway. The most robust option available is a 1.6-liter turbo engine. It offers up to 201 horsepower. When it comes to torque, this build gives you 195 pound-foot. This engine is very versatile. It can zip through traffic without any issues. It's also paired with a unique transmission system. The turbo engine works in tandem with a seven-speed dual-clutch transmission. It's very responsive and smooth. The wider gear ratios allow the engine to perform more efficiently at virtually any speed. With this configuration, the 2019 Kia Soul has a fuel rating of 26 MPG on busy city streets and 31 MPG on the open highway. The 2019 Kia Soul has a lot to offer across its three trim levels. The Base model uses the 1.6-liter engine. It's available in seven different colors and comes standard with 16-inch allow wheels. Inside, there are comfortably cloth seats, a 5-inch infotainment screen, and a manual climate control system. The Kia Plus offers plenty of upgrades. It has the 7-inch touch screen display with UVO software. This model is also available in 11 exterior colors. It's equipped with 17-inch wheels and an automatic climate control system. Under the hood, it's powered by the 2.0-liter engine. The powerful Exclaim build includes many of the same great features as the previous build. However, it's powered by the 1.6-liter turbo engine and has larger 18-inch wheels. Unique cloth and leather seats are used inside. Many of the Soul's optional features, such as the mood lighting and sunroof, are available as upgrades with this build as well. Overall, the new Kia Soul is a beautifully designed compact crossover with a lot to offer modern drivers. It has many great features and plenty of upgrades to provide a more custom driving experience. With its low price tag, it can appeal to any driver. 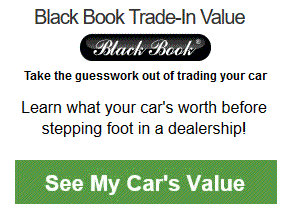 Example: Base Kia Soul invoice price + the dealer Invoice price of all the options + destination - Holdback = Total Dealer Cost. Note: All Kia Soul MSRP, invoice and dealer cost dollar figures above are approximate amounts. Prices are subject to change without notice.